He is back from his sickness that has kept him from being the All-American caliber runner we all know Shilgalis can be. Fueled by a very fast opening mile around 4:35, Shilgalis rocked away from what turned out to be the fastest race yet this season. 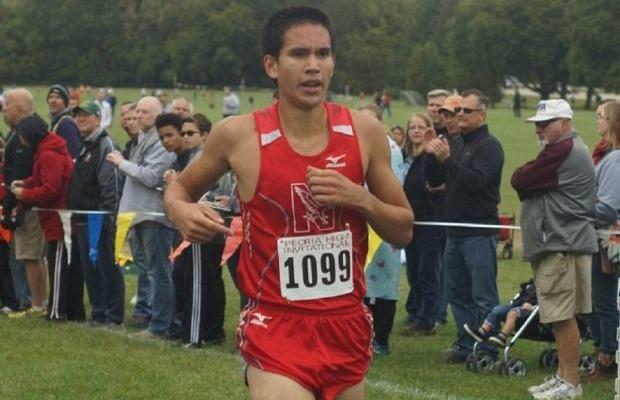 He tore himself to a victory in 14:11 at the won the Peoria High Invite. Ironically, it was Shilgalis himself who expected to run 14:15 during his first trip to Detweiller for the Richard Spring Invitational. Instead, it was a disappointing 15:28 that netted him a 28th place finish. Next on his plate is defending his Naperville Twilight Individual Championship that he won last year. Shilgalis comes into this race with a lot more pressure than last year as he is the favorite to win. Last year everyone was expecting now former Neuqua Valley star Zach Kinne to pull out an easy win. However, Shilgalis had an amazing race and upset Kinne by running himself to a thrilling 14:27. To say the least, it is going to be very exciting!